Protect the carpet of your ADAM with our All Weather Rubber Mats, these have raised edges which fit perfectly to the floor area and also have a heel guard area on the drivers side to prevent wear. They are available in black complete with moulded ADAM lettering logo on both front mats. 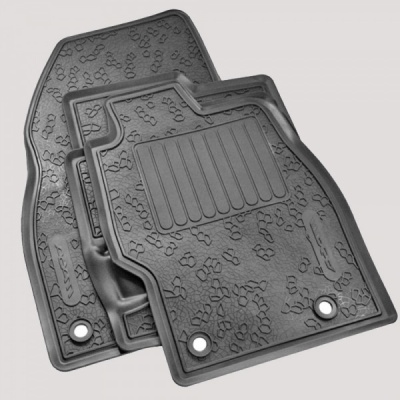 Both front mats are secured by eyelets which fit over locating studs in the vehicle footwell.